Last week I began talking about how habits work and how, by increasing our awareness of the simple pattern that all habits seem to follow we can choose to replace bad habits or install good ones. The ideas that I am discussing are from a new book by Charles Duhigg called “The Power of Habits.” I Introduced the cycle of cue – routine – reward that Duhigg describes and gave you a brief overview of how to identify and bring more awareness to the cues that precede the behavior or habit you wish to change. Once you have identified and tracked the cues that send you into autopilot you can now choose to follow that cue with a healthier, more supportive behavior. Consider the woman I mentioned who bites her nails. When she gets bored and feels a tingling in her fingertips her old behavior was to start rubbing her finger tips feeling for bumps or edges. When she found one she would chew on it and then, on autopilot, proceed to chew every nail on her hand until here nails were completely smooth (or completely removed). Once she had smoothed out the skin and nails on every finger she felt a sense of completeness, her reward (more about this later). Step two of reprogramming her habit after identifying and tracking her cues was to install a new program. Whenever she became aware of the cue, of boredom leading to a tingling sensation in her fingertips, she was to do something which physically stimulated her fingertips such as rub them on her arm or wrap them on a hard surface. She practiced this routine with her therapist for 30 minutes and was then sent home with another index card. This time she made a check when she felt the cue and a hashmark when she successfully engaged the new physical stimulation. A week later, after biting her nails only 3 times instead of the usual 18 she rewarded herself with a manicure. This felt satisfying and rewarding in much the same way that completing a round of nail biting did. Did you catch that? The key is not avoidance. When I say “don’t think of a purple elephant” what are you doing? You are thinking of a purple elephant. When I say “don’t bite your nails” what are you thinking about? Biting your nails. This can actually increase the compulsion and anxiety. If I help you to recognize the trigger that leads to biting your nails and then offer you an alternate behavior suddenly you have options. You have a new coping mechanism and instead of simply trying to shortcircuit the cycle you are completing it in an alternate way. A similar routine replacement is described for other patterns. A man who snacks when he is bored at work recognizes that the rewards of going to the cafeteria include a break from his desk and some social engagement. He chooses the routine of walking over to a co-workers desk and talking to them instead. New habit installed, same rewards felt. One of the reasons that AA meetings work so well is likely that the habit of drinking is replaced with a habit of meetings (90 meetings in 90 days). The cues such as anxiety remain the same, but the coping mechanism or habit is replaced and the reward can be surprisingly similar. The social engagement, sharing of stories and camaraderie of a meeting are often shockingly similar to those at a bar, party or other social drinking event. Let’s be clear. This tool is massively powerful. A simple awareness of it and dedication to following it has helped many and can be a positive tool for anyone. But it will not always be enough. Each habit is complex and unique. And there is another factor which plays a huge role in both whether or not we can succeed at changing a habit and in whether or not the habits that we do change last. This factor is belief. Next week we take a look at the role that belief plays in changing habits. Belief is the key to understanding how to succeed in creating the habits we do want, changing the habits we do not want and why some new habits fail completely at critical moments. Do you have a bad habit…or 12? Maybe you have or have had an addiction? Have you ever tried to pick up a new, more healthy habit? Do you know how to change bad habits? Or how to install good habits? That’s right, I said install, like installing a program in a computer. Conventional wisdom tells us that habits are mysterious and control over habits is an elusive and mysterious process. A new book by Charles Duhigg tells us otherwise. “The Power of Habits”, published by Random House in 2012 takes the complex issue of habit change and boils it down to a simple formula with cute little graphics and one magical element. Much like computer language, Duhigg refers to habits as routines. A routine is a patterned behavior that we perform with such frequency that it has become mostly automatic. We routinely repeat habits with little or no effort or conscious awareness of a decision to do so. If we have good habits we pat ourselves on the back. When we have bad habits we often chastise ourselves and feel as if we are failing somehow. Either way the behavior seems to happen without much effort. Some will say that they have created a good habit implying that their will-power is strong. Most are aware of some habit that they have tried once or a thousand times to alter with little or no sustained success. Most of time you hear someone speak of the effort that habit requires they are referring to failed attempts to create or curtail a habit. What if there really were a formula for changing habits that any of us could use to choose our behaviors? This is the forumula that Duhigg offers to explain all of our habits, good and bad, from working out to smoking cigarettes to drinking coffee and alcohol to over eating or biting our nails. The exciting thing is that bringing awareness to this loop with a very simple plan does seem empower people to change their subconscious patterns. As I love to say, consciousness is curative. When we increase awareness enough we tap into enormous power with very little effort. First we must understand cues. A cue is a trigger. It is the stimulus or experience that starts the cycle of a habit. Most of us focus on the habit itself and put all of our effort into preventing or creating a change in our behavior but completely overlook the very thing that put that pattern in motion. Duhigg describes a woman who can’t stop biting her nails even though it causes her much pain and embarrasment. When asked by a therapist when or why she starts biting she describes a sensation, a tingling in her finger tip. This sensation is the cue. Becoming aware of the cue is step one. Her task then was simply to carry an index card with her and make a check every time that she felt this sensation. Instantly her awareness of the cue increased. Later, when asked when she felt the tingling sensation she was able to recognize that this happened when she was bored. The habit was not fixed, but she was on the way to increasing her conscious awareness of the process simply by developing her awareness of it at an early stage she had never before attempted to objectify. A cue can be identified and monitored for any habit. For smoking or snacking or drinking we can look for and find a feeling or experience that precedes the actual habit. An uncomfortable emotion such as boredom, anxiety, frustration or restlessness is common. The need to take a break, relax or simply switch gears while working is often cited as the reason to smoke a cigarette or take a snack break. Often times physical cues such as dread in the stomach, shortness of breath, tension in your shoulders or an elevated heart rate exist much like the tingling in her fingertips. For some a particular type or tone of thought might be a cue. Identifying and charting this cue will bring you one step closer to understanding and changing your habit. For some, this alone will radically alter your relationship to your habit or addiction. For most this the necessary groundwork to then take a look at the rest of the cycle. What I have described are the types of cues that precede a negative habit that you wish to change (notice I am not saying get rid of, but change). This same concept will be important as we talk about installing new positive habits. First we must understand the rest of the cycle. Then we will explore the magical element. Next week we talk about routine and reward. I used to be sooooo angry. I was angry at the state of the world. I was angry at you. I was angry at myself. Now anger arises so rarely I miss it. And when it comes I cherish it as a gift. What changed? I went deeper into the anger and felt its roots. Dream Journaling – I have always had a very hard time remembering my dreams. The exception to this is when I place a pen and paper next to my bed at night with the intention of writing down anything I can remember from my dreams first thing upon waking. Within a few days I get fragments, then scenes and then entire stories down on paper. A few times I have become lucid while dreaming. We spend a third of our life asleep. Remembering your dreams is the first step towards deeply rewarding practices such as lucid dreaming, dream yoga and dream analysis. Meditation – Learning to meditate will change your life. Techniques and approaches to meditation are numerous, but the benefits that meditation can provide are even greater. Whether you begin to realize enlightenment, reduce stress, lower blood pressure, increase concentration, reduce tension or understand the nature of reality, meditation will offer you as much in return as you can invest. I could not possibly say enough about it here. Exercise – Most of us live abnormally sedentary lives. We did not evolve sitting in office chairs using our brains far more than our bodies. Bringing all of our energy into our minds at the expense of our bodies leads to everything from hypertension to obesity to depression and erectile dysfunction. If I had to pick the two most transformational practices they would be strength training and meditation. Combined their benefits multiply. Prayer/Incantations – There is immense power in our minds. Our lives are shaped by the thoughts that we embody. When was the last time you attempted to reprogram your thinking? Have you ever attempted to consciously choose your beliefs? Do you think it is possible to choose the mood that you wake up in? Studies show that smiling in a mirror can be as effective as prozac to cure depression. Combine those smiles with words that feel sacred, uplifting or even a bit silly and your mood will shift even more. To combat depression I started waking up every morning, forcing myself to smile and say one or two sentences about each day being better than the last and growing wiser and happier each day. At first I felt ridiculous. Before long both the smiles and the positive thoughts started happening on their own. Our thoughts are programmed by every bit of information we ingest, why not be one of the authors of your thoughts? 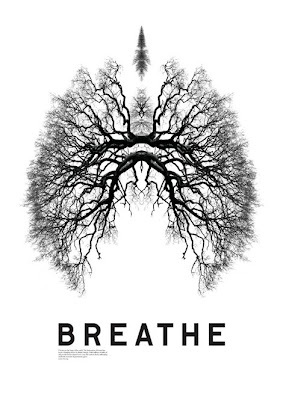 Breathing Exercises – I might actually recommend these over meditation. 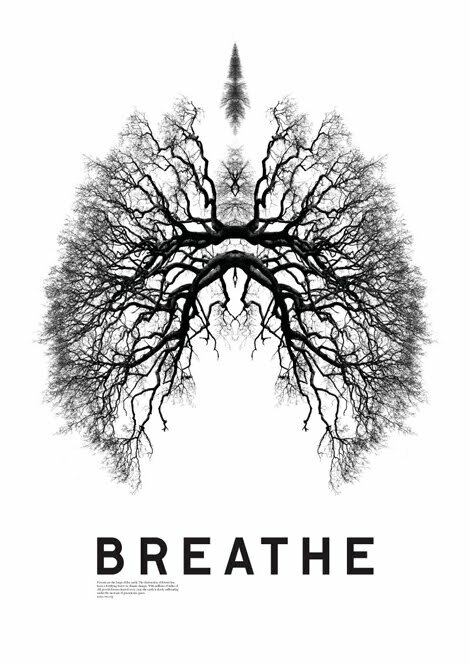 I have written about breathing exercises before. If meditation seems daunting, consider learning some simple breathing exercises. Along with all of the other benefits they also end up being a stealth concentration practice. More on this in my next Insight. Journaling – At times I like to journal at night, almost last thing, before I go to sleep. I find that even something as brief as 5-10 minutes of putting the days thoughts and events down on paper can have an incredibly positive effect on both my sleep and the mood that I wake up in. It is far too easy to lay down and close my eyes still wrapped up in the days events not even realizing that I am still ruminating over events that ended hours ago. Journaling allows me to honor what has happened, process my feelings about it and then let go and drift off peacefully to sleep. Sacred Reading – Whether you choose ancient texts or more modern books on faith and spirituality setting aside time daily to immerse yourself in others wisdom is an uplifting and expansive practice. Yoga – David Deida once described yoga as ‘moving just beyond your range of comfort so that in the future you will have a greater range of comfort.’ (paraphrase). Most Americans are familiar with the physical positions or asanas that yoga includes. While this but scratches the surface of a true yoga practice, if you dedicate yourself to something as simple as 5 sun salutations daily I am certain your days will be different. Creating space in your body creates space in your mind. Yoga is designed to facilitate this process. Singing/Chanting – More primal than talking, there is a reason that most religions include some form of singing or chanting. Whether you sing folk songs or repeat a sacred phrase the simple act of using your voice with focus and purpose can be a deeply transformative practice. This was both one of the hardest and most rewarding practices for me during my year on the mountain. Whatever you choose, the simple act of committing to putting aside time every day to focus on taking care of yourself, being present in the moment, and connecting deeply with an experience will reward you in ways you can’t know without having a daily practice.